For fast, convenient and accurate determination of the thread density of woven and knitted fabrics as well as wired meshes, Amith Garment Services, based in Bengaluru (India), is introducing a new product called Digital Pick Counter at the upcoming Garment Technology Expo (GTE) 2019. The Garment Technology Expo will run from February 22-25, 2019, at Okhla, New Delhi. The garment company is known world over for its services such as, quality control, textile testing, to the garments and textile Industry. The technology show is notably one of the largest events committed to apparel technology in India. Coming back to Amith Garment’s technology, this instrument helps in studying the construction of textile fabrics used. 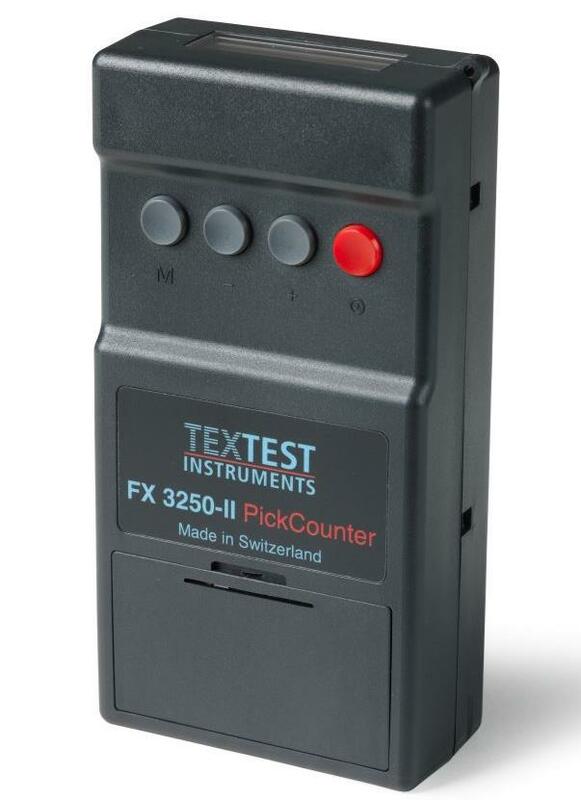 Measuring from 8-300 threads per cm or 20-750 threads per inch, the Digital Pick Counter comes in a very handy size of mere 66x32x128 mm and is able to determine even high thread density with both computer and printer connecting option. A special and automatic illumination system of the specimen eliminates the interfering effects of colors and patterns. Therefore, even coloored and patterned test specimens deliver perfect test results. Operation with (rechargeable) batteries makes the instrument independent of a stationary power source. If desired, an external power adapter can be used. The instrument weighs only 200 gram and measures within less than 1 second with accuracy better than ± 1 %. The instrument namely, FX 3250 Pick Counter, is applied for measuring thread density (“pick count”) of textile, knitwear, metal meshes and is ISO conform certificate. The instrument is handy and also suitable for use in the laboratory in the production area. The instrument supports data port, for PC-connection, and optional EVA software as well. It is a unique instrument that can be calibrated according to use.